Oppo had an event today, where it showcased a 10x camera setup, implementing three sensors, along with a bigger UD fingerprint scanner area. There wasn’t any actual smartphone revealed, nor there was a demo of any sort, but Oppo promised more to be unveiled at MWC 2019 next month. The 10x hybrid optical zoom is achieved by combining its 5x optical zoom sensor with a wide-angle lens, effectively making the zoom 10 times. There's also a third module for regular snaps in the middle but it doesn't affect the zoom range. According to the company representative, the modules cover the 35mm equivalent of 15.9-159mm focal length. In comparison, the most versatile solution so far - the Huawei Mate 20 Pro's triple camera goes from 16mm to 80mm in 35mm terms. Oppo's new module also has Dual OIS image stabilization for the main camera and the telephoto lens. The setup was manufactured with over 100+ R&D patents and was drop-tested 28,000 times. Samples will be showcased in Barcelona next month, and Oppo promised the tech would ship to manufacturers this year. 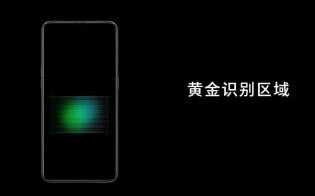 Oppo also announced a bigger under-display fingerprint scanner similar to what Lin Bin from Xiaomi introduced earlier today. The new sensor will be 15 times larger than the current one in the R17 and will be able to read two fingers at the same time. We already tested a similar concept with the vivo APEX concept last year although the technology wasn't quite ready back then. 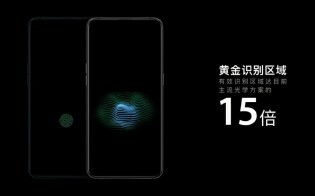 The new “biometric experience”, as one Oppo senior executive called it, is expected to hit commercial availability and phones by the end of the year, meaning we might actually see an early-bird variant of the Oppo R19 at MWC 2019.